It is funny how Blu names a smartphone series after another series of Wiko’s smartphone. 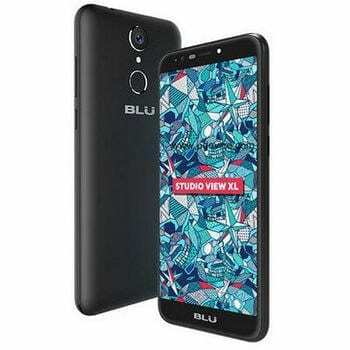 The Blu Studio View XL is a low budget 18:9 smartphone just like the Wiko View XL smartphone. Inspired by the recent release of premium smartphones that adopts this aspect ratio alongside the bezel-less display trend. Like the name suggests the Blu Studio View XL comes with a large viewing screen to body ratio thanks to the reduced bezels. The idea here is to have a smartphone with a maximal display and that is exactly what the smartphone offers. Although it is made of plastic, the smartphone has nice aesthetics and well polished chamfer. This is a smartphone designed to look like a premium smartphone, however, touching the smartphone gives it away due to the plastic body. Even for a look alike budget smartphone nothing much is offered in terms of display. The Blu Studio View XL offers a full HD 5.7-inch display which considering the phone size itself is impressive. The Blu Studio View XL might not be considered as a battery juggernaut but it offers enough power to keep the phone on all day. With that said, the smartphone features a 3, 000mAh non removable Li-Po battery. It is always nice when both the rear and selfie camera have their own flash light. This makes taking pictures to an extent more better in not too bright places. That aside, the Blu Studio View XL ships with a 13MP rear camera and a 5MP front camera. In the case of performance, the smartphone has a rather low grade hardware. That being, there is a Quad-core MediaTek MT6580A SoC running at 1.3GHz and a Mali-400 MP2 GPU taking care of graphics. 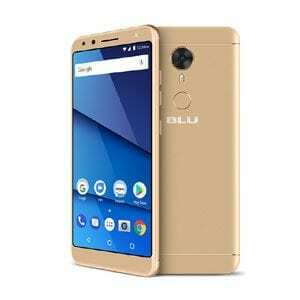 Blu also equips the smartphone with a 1GB RAM and 16GB of internal storage expandable up to 64GB using a MicroSD card. Unlike some other 2018 smartphones rolling out with Android 8.0 Oreo, the smartphone comes with an Android 7.0 Nougat. The Blu Studio View XL was released earlier this year and sells for about 42, 000 Naira to 56. 000 Naira depending on your location and the deal.